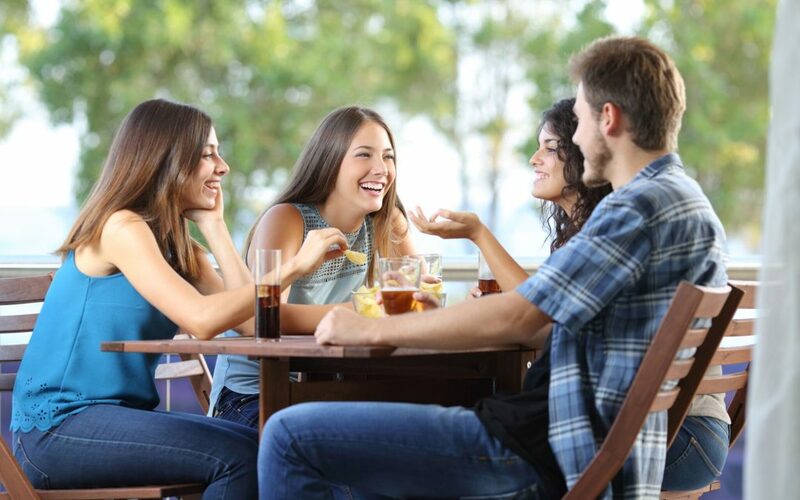 Every foodie loves going out to eat with friends! What could be better than combining your favourite past time with even better company? Dining out with friends also comes with some challenges, and some unexpected events. There are however, a few things you can expect to happen every time, especially with the 5 friends every foodie has. As stated before on this blog, I’m a picky eater so this is probably the foodie friend I relate to the most. There’s always one friend who is hesitant to try new restaurants or meals or even ingredients! For this choosy pal, they’d much rather go with tried and true dishes they’ve had before. Whether this is because they have dietary restrictions, or they just don’t like avocados, accommodating this friend may be challenging, but always worth it. We all have a friend who can never decide what they want to order. Do they want pasta? Or a salad? Do they want to try something new? Or stick to something they know they like? It can be especially hard for this friend to choose as their foodie friend (you!) have obviously taken them to the best restaurant in town! While it may take a while for them to decide, that just means you have more time to spend with your friends, and you may even get to dish out some of your advanced foodie knowledge. It can be a real challenge finding somewhere to eat with the friend who’s been everywhere. This friend has tried every dish in the city and is always on the hunt for something new. Of course, when a new place opens up in town you know which friend to call to try it out, unless they’ve somehow managed to beat you to it! And if you do manage to convince them to go back to a place they’ve tried, they’ll know what’s the best dish for you to order (after a quick double check on HelpMeOrder of course!). We all have that friend who says they’ll be there by 7 and end up showing up around 8:30. This is usually no big deal but can be slightly frustrating for time sensitive plans, such as a dinner reservation. This friend never tries to be late, but something unexpected always happens! A trick I use to avoid this situation is to tell them the reservation is slightly earlier than it actually is so they arrive on time. A little sneaky, but effective! This friend is the most prepared out of anyone in the group. They are the friend who needs to know where you’re going in advance so they can look up the menu online and begin thinking about what to order. This overly prepared pal always has an order in mind when they show up, and a backup, just in case. Though it may be kind of funny to watch them blankly stare as they recite their order in their head one last time, you’ll never have to worry about them being indecisive! Let’s face it, going out with friends wouldn’t be as fun without everyone’s differences. Each of the 5 friends every foodie has brings something new to the table (figuratively and literally) and that’s what makes the outing exciting! Feel free to share this post on your facebook page and tag your foodie friends!